In Southern Ireland ahead of this Bank Holiday weekend Mayo County Council is running their “What’s Around The Corner” safety campaign. The campaign includes handing out High-visibility yellow vests to bikers to make sure they can be clearly seen by other motorists, they will be distributed through motorcycle clubs in Co.Mayo. Noel Gibbons Road Safety Officer Mayo County Council, said, “This is one part of our ongoing efforts with partners to improve safety for motorcyclists and other road users. 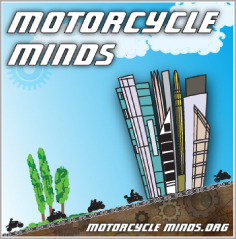 We are also encouraging local riders to under go Motorcycle training. Motorcyclists continue to be over-represented in the fatalities and since the middle of April, four riders have lost their lives. 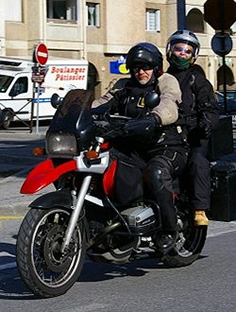 As the weather improves, more and more motorcyclists will take to the roads. 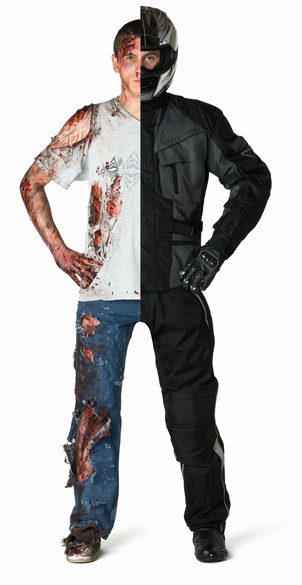 Research indicates that the majority of motorcycle fatalities occur over the weekends and during daylight hours. Right To Ride says – So save yourselves, watch your throttle, watch out for other drivers and riders!